Packie Bonner started his football career with Donegal club Keadue Rovers FC. In 1978, he became Jock Stein’s last ever Celtic signing. The following year Packie Bonner made his first team debut and over the next 12 years, he made the number one jersey at Parkhead his own and made 642 appearances for the Hoops before retiring in 1996. 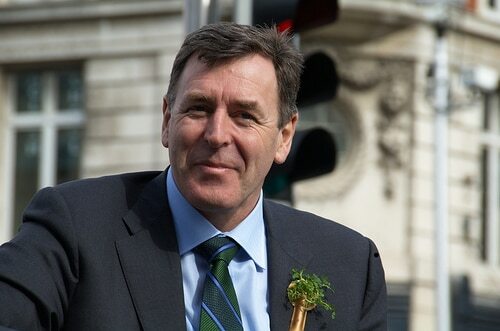 Packie Bonner made his Irish football debut on his 21st birthday against Poland in 1981 and over the next 13 years, he became first choice goalkeeper for Ireland winning a record 80 caps. Packie Bonner is best remembered for his penalty save on Daniel Timofte at the 1990 World Cup, which, along with David O’ Leary’s successful strike, earned Ireland a place in the World Cup Quarter-finals.